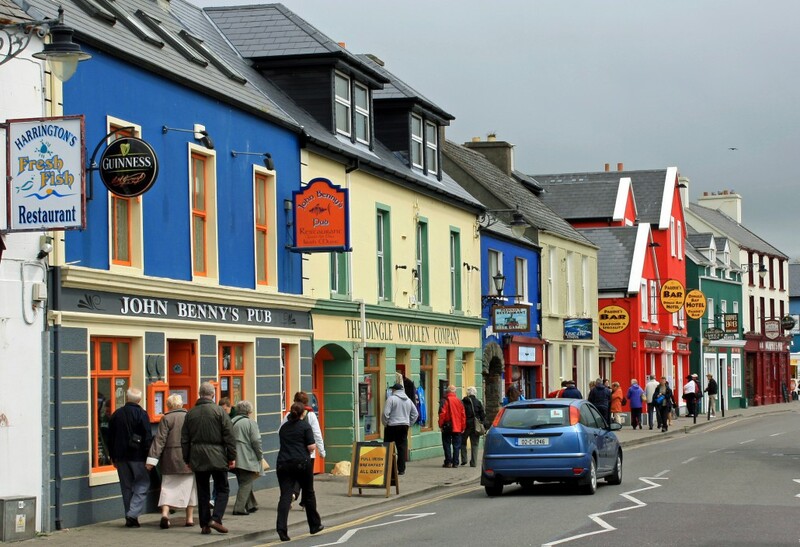 Why is Dingle Kerry So Popular That Visitors Can't Stay Away? HomeKerry NewsWhy is Dingle Kerry So Popular? 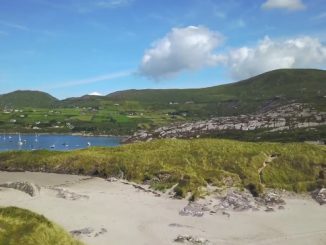 Why is Dingle Kerry So Popular? Drive along the coast of the charming Dingle Peninsula and you would be forgiven for thinking you are on the set of a picture postcard, so beautiful is the landscape. 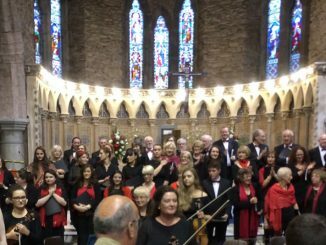 This includes mountainous areas such as Mount Brandon and the Connor Pass, hills, valleys, the ghost island of Great Blasket, and pretty Dingle Town itself, sandwiched between the awe-inspiring mountains and the deep blue ocean. Many ring forts and the ruins of ancient monuments can be found around Dingle Kerry, serving as a back drop to the equally ancient festivals held here every year. The Blasket Islands lie 3 miles off the Dingle Peninsula. 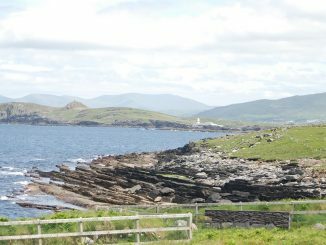 They consist of the Great Blasket Island, the most westerly point in Europe, Inishtooskert, Inishnabro, Inishvickillane and Tearaght Islands, and Beginish, the smallest, which is used as a source of food for cattle. Lesser black-backed gulls, great black-backed gulls, common gulls, fulmars, Manx shearwaters, storm petrels, guillemots, cormorants, kittiwakes, razorbills, puffins, shags, and herring gulls all use the island as a safe haven on which to breed, as the cliffs and ocean provide the perfect environment for them to build their nests. The variety of seabirds that breed here is amongst the highest in Ireland or the United Kingdom. It cannot be denied that the picturesque Dingle Town has something special. Maybe it’s Fungie, the wild dolphin who chose to stay around Dingle Harbour to play with the boats and has done so for the past 25 years? Or the bodhráns, tin whistles, fiddles and accordions that can be heard in the pubs (there are about 52) most nights of the week? Maybe it’s a collaboration of many different factors. Whatever the reason, this town, steeped in Irish heritage, was voted by contributors on Trip Advisor as being more popular than even Paris or Rome. When you are here it truly feels as though Irish culture is all around you. Cloghane (or Clochán in Irish) is located in one of Ireland’s most magnificent landscapes, at the foot of Mount Brandon and looking out over Brandon Bay, which offers some of the best windsurfing in the country. 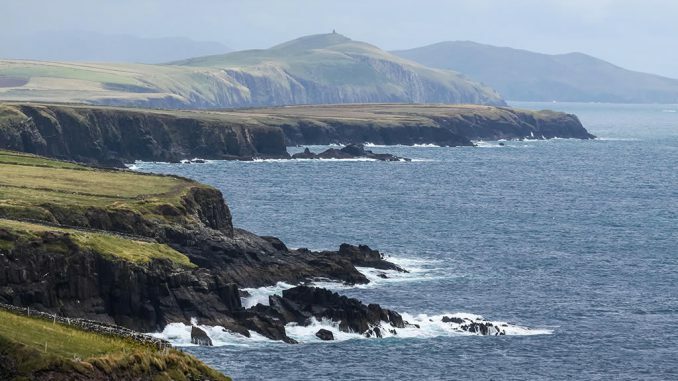 Windsurfers, outdoors enthusiasts, anglers, walkers, and families make a bee line to this unspoiled area to soak up all that it offers, such as the astonishing Connor Pass, the highest mountain pass in Ireland, or the Dingle Way, to which it acts as a gate. With attractions such as these, it is not difficult to see why this region is internationally renowned for its hill-walking and mountain climbing. The Owenmore River and Lakes are popular for fishing as they are home to the wild salmon. Cod, bass, mackerel, turbot, skate, and shark can all be found at sea. In July the Clochán-Breannainn area celebrates the Féile na Lughnasa with lots of native music, songs and cultural activities. Ireland’s longest beach begins in this area and follows the coastline as far as the Maharees, passing Cappagh and Fermoyle on its way. Pony-trekking and golf are also popular pastimes in this spectacular area. And beyond all that, Dingle Kerry has an intangible charm which weaves its spell on the unsuspecting visitor captivating him with that magic allure which makes him want to return again and again.